ConsenSys is the latest crypto-linked firm to have run into financial trouble as crypto prices lost 90 percent in 2018. 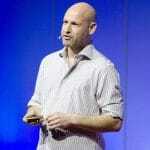 Blockchain outfit ConsenSys, founded by Ethereum co-founder Joseph Lubin, has reportedly laid off over 100 of its employees – roughly 10 percent of the Brooklyn-headquartered firm’s workforce. According to sources with knowledge of the matter, the layoffs affect different departments and different regions. The sources did not confirm the exact number of employees that have been dismissed. Established in October 2014, ConsenSys is focused on building a growing ecosystem of developers that work on decentralized applications and infrastructure for the Ethereum blockchain. It also advises enterprises and governments globally. The company currently has a headcount of around 1200 employees, spread from New York to London to Singapore. ConsenSys is the latest cryptocurrency-linked firm said to have run into financial trouble as cryptocurrency prices struggle to recover from a steep decline throughout 2018. Other cryptocurrency operators have been laying off large swathes of their workforces over the past few months as the market crash hits businesses. From a price perspective, around $120 billion has been wiped off the value of Ethereum this year, which has lost a staggering 90 percent from its peak in January. The network has also faced intense scrutiny over scalability, economic abstraction and the loss of reservation demand. While Ethereum’s bear market is not out of the ordinary, the regulatory scrutiny on initial coin offerings has compounded these negative forces for related startups, including ConsenSys. This comes after a relentless ICO boom, in which thousands of startups bootstrapped the Ethereum protocol to launch their own token sales. Things got worse over the past few months as well, as the US authorities significantly widened their crackdown on ICOs, putting hundreds of cryptocurrency startups at risk. Despite displaying a fairly positive attitude towards blockchain technology in general, the SEC is still bothered by the structure of many ICOs. The layoffs are doubtlessly connected to the letter sent by Lubin to ConsenSys employees warning of a reevaluation and restructuring of the business. In the letter, which was seen by Breaker Magazine, he said that the company would be made more efficient by being more strict when it comes to selecting projects to support, and by axing the less profitable ones. According to Forbes estimates, Lubin’s fortune dropped to less than $1 billion from $5 billion in early 2018. The prolonged bear market also calls into question how long he can continue to fund ConsenSys, which is losing more than $100 million a year as almost all of its businesses are in the red, with few showing hope of profitability.